In 2000, Israel created the Council for the Advancement of Women in Science and Technology to serve as an foundation for government actions to help women advance in these fields. In 2003, the Council reported that women constituted only 25% of all graduates completing degrees in the hard sciences, 24% of all senior academic staff in Israel’s higher-education sector and 29% of all technology industry workers. Following this report, the Israeli government made a concerted effort to encourage women to enter the fields of science and technology by promoting their achievements. By 2010, the majority of students studying for a university degree in Israel were women, though work remains to be done to achieve equity in the professional scientific fields. Geva-Zatorsky focuses her research on "good bacteria" that can potentially treat a range of infectious and life-threatening diseases. Neeman is Dean of the Faculty of Biology and previously worked at the Los Alamos facility in New Mexico. She developed multiple methods for imaging process of angiogenesis and blood vessel formation and growth, especially in ovarian cancer cells. Rotter chairs cancer research at Weizmann and focuses her studies on the p53 tumor suppressor gene that helps protect healthy cells from developing cancer. Among the founding figures of Israel's chemical industry, Greidinger was a fifth-generation Israeli born in Tel Aviv. Educated in Switzerland, she taught chemistry at Technion. Following her death from cancer in 1979, the Weizmann Institute created a fellowship for cancer research named the Dahlia Greidinger Anti-Cancer Fund. Yonath was the 2009 Nobel Prize laureate in Chemistry for her work mapping the structure of ribosomes. She also established the first protein-crystallography laboratory in Israel. Goldwasser focuses her research on computational complexity theory, cryptography and computational number theory. In 2012, she was the recipient of the Turing Award for coinventing zero-knowledge proofs. In addition to her work at the Weizmann Institute, Goldwasser teaches at the Massachusetts Institute of Technology in Boston, Massachusetts. Radinsky earned her PhD at the Technion Institute and worked to create disaster-predicting software. In 2013, she was listed among the top "Innovators Under 35" in MIT Technology Review. A professor of History of Philosophy of Science and Ideas, Jablonka focuses her studies on epigenetic inheritance - the study of heritable changes in gene expression caused by mechanisms other than changes in the DNA sequence. Originally from Poland, she immigrated to Israel at a young age and was awarded the Landau Prize of Israel and Marcus Prize. Zomer-Penn is an autism expert whose research focuses on the genome sequences of autistic children compared to those of their healthy parents' DNA. In 2013, she became the third Israeli to receive the L'Oreal-UNESCO "Women in Science" Prize. Biron lectures at the Graduate School of Management at Haifa and studied at the Technion's School of Industrial Engineering and Management. Her research focuses on the value of exercise in breaking the vicious cycle of job burnout and depression. Erez recieved degrees from the Hebrew University and Technion Insitute. Her research focuses on motivation, cross-cultural organizational psychology and innovation and creativity. In 2005, Erez was awarded the Israel Prize for management. She also received the 2002 Distinguished Scientific Contributions to International Advancement of Applied Psychology award. Sharot's research focuses on the neuroscience of optimism, emotional memories and cognitive dissonance. She has published numerous books, including: The Optimism Bias: A Tour of the Irrationally Positive Brain and The Neuroscience of Preference and Choice. An immunology professor, Arnon's research focuses on synthetic vaccines and multiple sclerosis (MS), development of an influenza and anti-cancer vaccine. Under Arnon's guidance, her lab created a vaccine (Copaxone) that alleviates pain from MS and was later approved by FDA. Gelbard-Sagiv is a post-doctoral research fellow in the United States. She was a 2011 UNESCO Fellow for Women in Science. Her research focuses on neuronal correlation of memory formation and recollection processes in humans and aims to understand the biological basis of consciousness. Schwartz chairs the immunology department at Weizmann and focuses her research on the innate and adaptive immunity in central nervous system (CNS) plasticity in health and disease. She is a world pioneer in showing that blood microphages are needed for spinal cord repair and she also pioneered the concept of “protective autoimmunity” that led to a paradigm shift in the perception of key issues in immunology, neurobiology and adult neural stem cells. Sources: Ben Gedalyahu, Tzvi.“Two Israel Women Win International Science Awards,” Israel National News, March 6, 2011. Ghert-Zand, Renee. “Israeli Scientists Isolate Nearsightedness Gene,” The Forward, September 8, 2011. Mandell, Meredith. 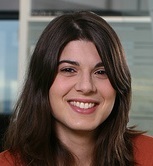 “Israeli female scientist Naama Geva-Zatorsky named Europe’s top young researcher,” JTA, April 9, 2012. “Michal Schwartz,” Weizmann Institute of Science, Department of Neurobiology, accessed June 25, 2012. Messer-Yaron, Hagit. "Science in Israel." Jewish Women: A Comprehensive “Hagar Gelbard-Sagiv, Ph.D.” University of California Los Angeles. Historical Encyclopedia. 20 March 2009. Jewish Women's Archive. June 25, 2012. 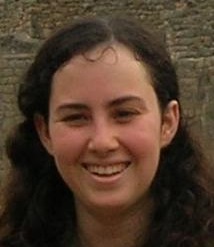 Kira Radinsky, “Kira Radinsky, Ph.D.,” Technion, 2010. 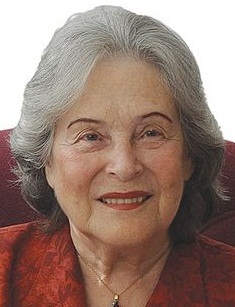 “Professor Ruth Arnon,” Weizmann Institute of Science, Department of Immunology, July 6, 2011. “Prof. Michal Neeman | Biology,” Weizmann Institute of Science, 2012. “Prof. 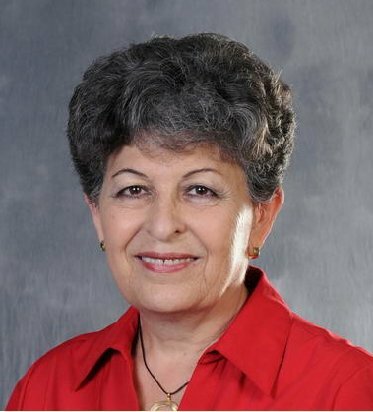 Varda Rotter, Research Activities,” Weizmann Institute for Science, October 22, 2009. Sharot, Tali. “The Author,” Tali Sharot website, 2011. Wood, Janice. “Burning Calories Avoids Burnout at Work,” PsychCentral, February 24, 2012.